I’m somewhat of an anomaly in our extremely caffeinated world. I HATE coffee. I don’t know what it is about the brew – I’m just not a fan. As such, I’ve adapted to 9-5 job life by pledging my allegiance to another popular caffeinated beverage: tea. Tea has a lot of awesome health benefits, but really as far as I’m concerned, it just tastes better. 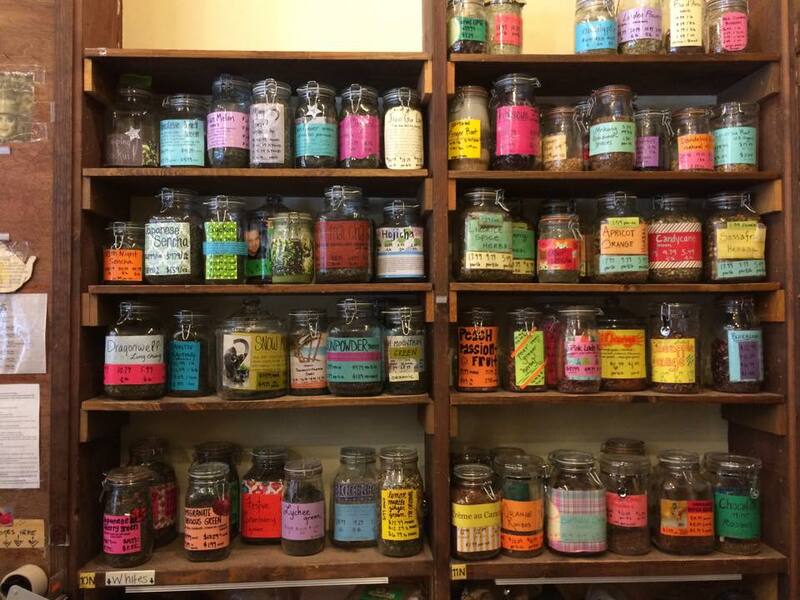 Check out my picks for purchasing and enjoying tea in Chicago and beyond! Argo Tea has to be my favorite tea spot in Chicago. They have so many delicious signature drinks that can be served hot or cold, and they rotate new ones in and out on a monthly basis. Past that, there are so many different customization options – they really have something for everyone. Loose-leaf tea canisters tend to cost about $10-12, which is a great value for the everyday tea drinker. When I buy a container of loose leaf tea, it lasts FOREVER. I have 3 or 4 that I use all the time, I got them a year ago, and I’m not more than halfway through any of them. They also have a solid LoyalTEA (see what they did there?) loyalty program that rewards the frequent hand-crafted tea drinker. Besides Argo Tea, the remaining tea spots on this list don’t necessarily advertise the fact that you can get a drink to go (as opposed to purchasing loose-leaf tea to brew yourself), but Argo Tea specializes in these beverages. I love their flavored green and white teas. If I had to pick just one to recommend, I’d suggest the Green Tea Strawberry. It mixes great with lemonade after being cooled down with ice! Adagio is where I first fell in love with loose-leaf tea. I got a Groupon (still available through the link) for a tea tasting and (which included a ceramic teapot!) when a tea-loving friend was in town to visit. I decided to taste a few types of tea I hadn’t really given a chance to before – oolong and white tea. Their Ali Shan Tea is a premium oolong tea that I love. Did you know that oolong tea improves digestion? You’ll learn this and many other fun facts about tea if you go through the tasting experience! Personally, I’m pretty obsessed with green tea because of it’s metabolic benefits and how it tastes. But once I gave these two new varieties a chance, I keep replacing them whenever they run out. 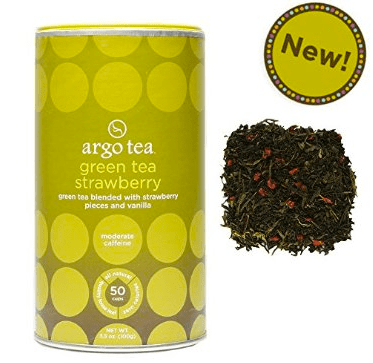 I would consider Adagio to be slightly more premium than Argo Tea, with a wider selection. They have a ridiculous amount of tea-related accessories – tea brewing apparatuses, travel mugs, etc. This store is the tea-aficionado’s dream. DavidsTea is an interesting tea store. It has elements of Argo Tea and Adagio Teas, in that you can get a to-go drink and they have plenty of tea accessories. But there is something that also makes it completely different. DavidsTea offers a lot of unique tea blends that change the flavor you’d expect to get from the respective tea bases (green, white, oolong, etc). For some of my tea-loving friends, this is unacceptable. They don’t like DavidsTea because the tea has weird additives that make it into more of a novelty than a detoxifying beverage. DavidsTea is probably a good place to go if you don’t have many preconceived notions about how tea should taste, or aren’t a purist. My favorite tea is the Countess of Seville, which is a green tea that draws similarities to a black tea. On the purely local business side of things in Chicago is the Coffee & Tea Exchange in Lakeview. This place is awesome. There are so many different tea (and coffee, obviously) varieties, and the presentation includes colorful and crafty hand-drawn signs (see picture). You can ask for as much or as little tea as you want, and it’s priced and packaged accordingly. The Coffee & Tea Exchange is a great place to go if you like to try a lot of different varieties and don’t want to be stuck with the same flavor for a long time. Or if you don’t want to shell out a lot of money at once for a large amount of tea that might go bad. I like their gunpowder green tea and super-affordable matcha tea. Obviously great tea options aren’t limited to the geographic area of Chicago. In fact, all of the aforementioned companies ship across the United States if there’s not a physical location near you (Hi, non-Chicago readers!). But another option that requires even less effort is to purchase a subscription to a service that curates different teas each month. Teabox is one such service. The packaging itself is reason enough to order a subscription. It’s functional and informative. It used to be (when I got this box) that you pay $15 each month (including shipping! ), you get a specially-curated selection of fresh teas. The box I got focused on minimal-caffeine teas to wind down with at night. What I love about each individual tea is the attention to detail. Check out the label that tells you what exactly the tea is, what it smells like, tastes like, what you should add to it (if anything!) 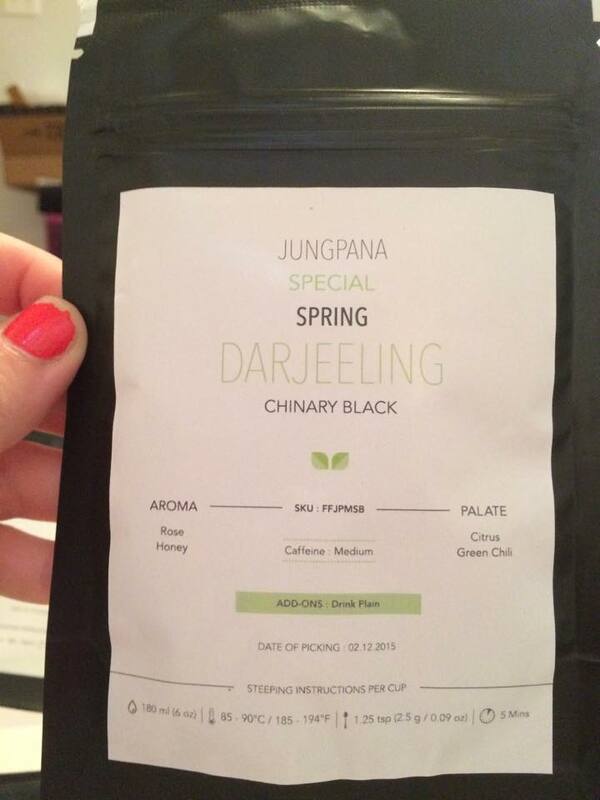 and some very specific steeping instructions. I don’t think any of the aforementioned companies can make the same claims about attention to detail in the tea tasting experience. Teabox comes highly recommended by me as a company that truly understands tea. Teabox has changed their strategy slightly as of late. 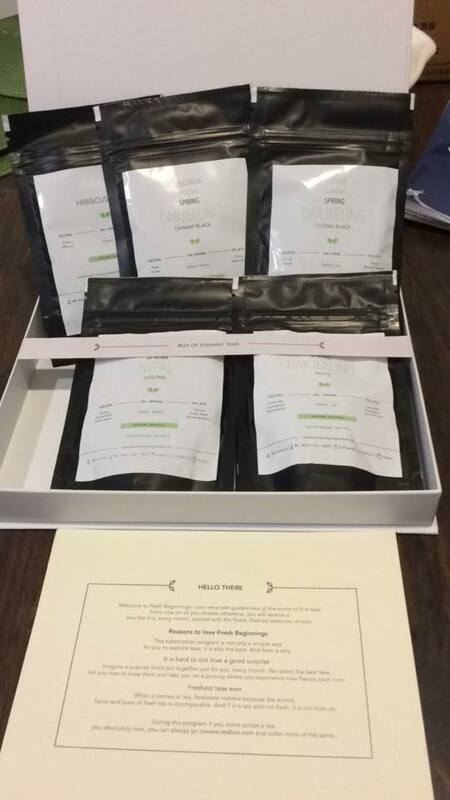 Now, their process is more personalized where you take a quiz to determine the type of tea that best suits your taste and lifestyle – the first company in the tea industry to go this route. Another awesome feature – it’s only $9.99 each month! Where’s your favorite place to enjoy tea in Chicago? Or buy some to enjoy at work? Let us know in the comments! *Disclosure: Argo Tea, Adagio, and Teabox each donated products and giftcards when I reached out to them about writing this article.